How do I know if a contact is private or public? 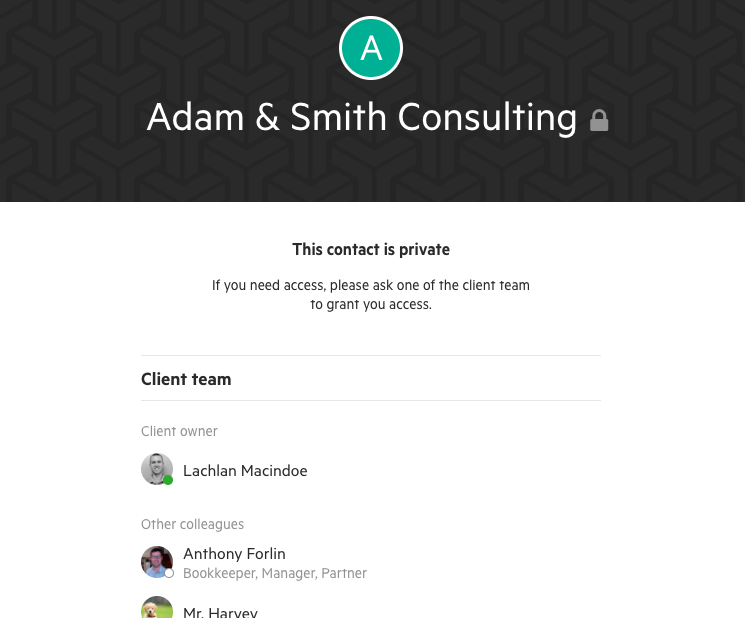 Some contacts and their work items can only be seen by authorized team members, these have a padlock icon next to their names. For contacts, you will see this padlock icon next to name in your contact list. For work items, you will see this padlock icon next to name of the item in the header.